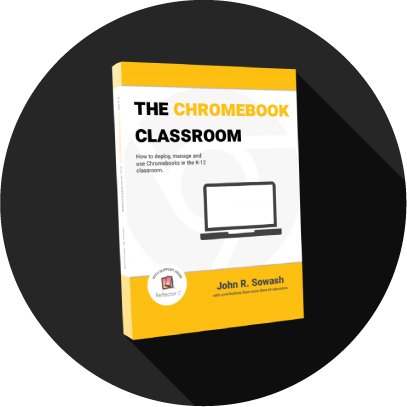 Screen recording with Chromebooks is a powerful way to teach and to observe student learning. A screencast is a recording of your computer screen. Most screencasts also include a narration to explain what you are doing and can also include a webcam view of the person recording the video. If you are brand new to screen recording on Chromebook I recommend that you check out this post to get started! Teachers can use screen recordings to provide short, focused instruction to students. Students can create a screen recording with a Chromebook to reflect on their learning, share insights on their project, or teach a concept. Review time is limited. Create a series of short review videos to help students prepare for your next test or exam so that they can review with you from home. Record your direct instruction and have students watch the video at home so that you can use your in-class time for hands-on activities and class discussion. Recording the delivery of a Powerpoint or Google Slides presentation is a great way to get started with screencasting. Example: This is one of my first attempts at flipping a lesson for my high school Anatomy and Physiology course. How many times do you have to repeat instructions for your students? Record the instructions on a screencast and post the video into Google Classroom, Edmodo, Schoology, or whatever LMS you use. Students can watch the video as many times as they need! Are sub plans the worst part of being a teacher? They don’t have to be! Create a screen recording for your students the next time you will be out of the classroom. Have the sub play the video at the beginning of class and it’s almost as if you never left! Record your next whole-class collaborative activity in Docs, Sheets, Slides, etc. It’s interesting to play the video back or speed it up to see the collaboration taking place. Example: This video documents the day that I introduced my students to Google Docs for the first time. We used it to write a story together. It was quite an experience! 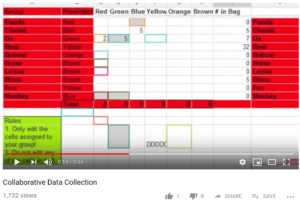 I also captured this video of my class adding lab data to a Google Sheet. There are some skills that are difficult to master. 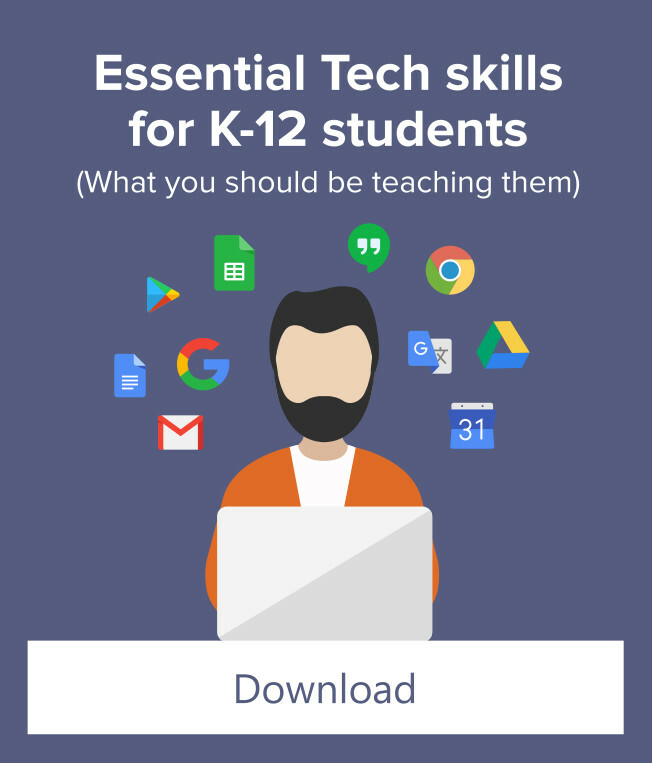 Create videos that re-teach and explain these skills so that students can watch them on-demand. MLA and APA citations are a great example. 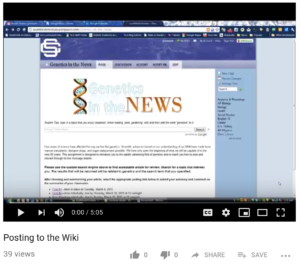 Create short videos explain how to cite a Book, article, podcast, video, etc in the citation format you use in your classroom. Example: Turn a website into a Chrome app in 2 clicks! If you have a students who has been out for an extended period of time, create a screencast that reviews what you covered in class and the make up work that they need to complete. Creating a video is much faster than writing out all of this information! Are your parents struggling to log into the gradebook portal, sign up for Google Classroom Guardian summaries, or find your class web page on the district website? Create a short video that shows them how to find essential parent resources that will help them stay informed. You can create custom videos to help a fellow teacher find that “missing” folder in Google Drive or install that new app on the Chromebook. Creating videos is sometimes faster than writing out the steps in an email. 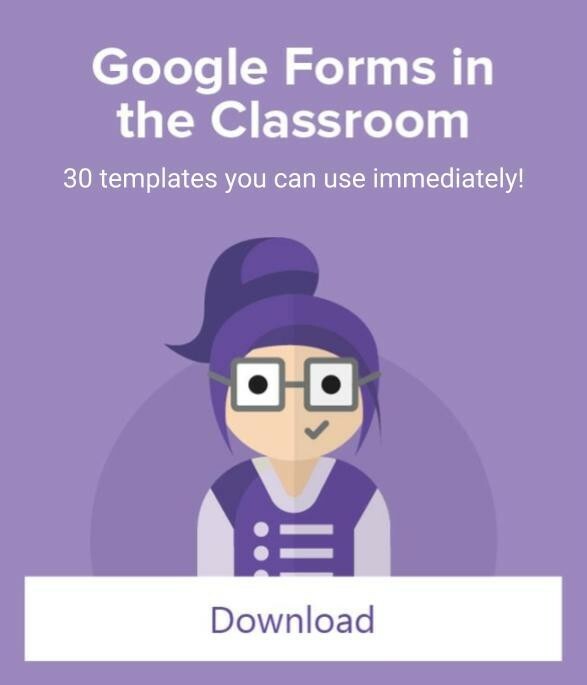 Example: I teach online courses through Google Classroom and use screencasts to help students troubleshoot issues joining the course and completing the assignments. Much easier than trying to do tech-support over email! Is grading the worst part of teaching? Recording a video to give student feedback on their work is a personal way to connect with your student outside of the classroom. A short 30-60 second video is a powerful way to encourage students and push them to be better. Have students record a short reflection to share what they learned during the class period. You will be amazed at how different these video responses are compared with written responses. Some students won’t like the video reflection while others will love it! Mix things up! If your students are working on a long-term project like a research paper or website project, ask them to document their progress 1-3 times per week. These videos will be interesting to review at the end of the project. Capture video, audio, and screencasts throughout your next lab project to compile a video lab report that documents an initial hypothesis, experiment, and data which validates or changes the initial hypothesis. Example: One of the first lab projects in my high school biology class is a termite behavior lab. This was a fun way to teach the scientific method. Unless you teach speech class, you probably don’t have enough class time to have every student stand up and present their project. Instead, have each student record a screencast and give your class 20-30 minutes to watch videos from their classmates. Assign a problem, vocabulary word, or historical figure to each student and ask them to create a 1-3 minute screencast teaching someone about their assigned topic. 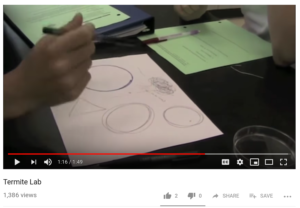 Every student will become an expert in their topic and have the videos from the rest of the class to help them learn about the topics they didn’t research. Student Example: Mathtrain.tv is a website full of student-created math tutorials! You can listen to my conversation with the founder of Mathtrain.tv here. Reflection is a critical component of learning. Reflective videos are a great way to incorporate technology into hands-on classes like Music, art, science, woodshop, and physical education. Have students explain the inspiration behind their artword, the most difficult component of their wood project, or the rules of floor hockey. There are a lot of great learning and practice websites that don’t save a student’s work or progress. If you use one of these tools in your classroom, have students record a quick video showing you the end screen, total practice time, final score, etc to verify that they completed the required assignment. For performance related classes like music, band, and physical education students can use the webcam capture capabilities of a Chromebook to show that they have mastered a scale, exercise, basketball skill, or choral measure. Ask students to read their book report on-camera. Publish the video and create QR code to attach to the book that was reviewed. Now the book report can be viewed by a student who is interested in reading the book! Bring a poem of passage to life with a dramatic reading. What unique spin can a student put on the Gettysburg Address, or “A Walk in the Woods” by Robert Frost? 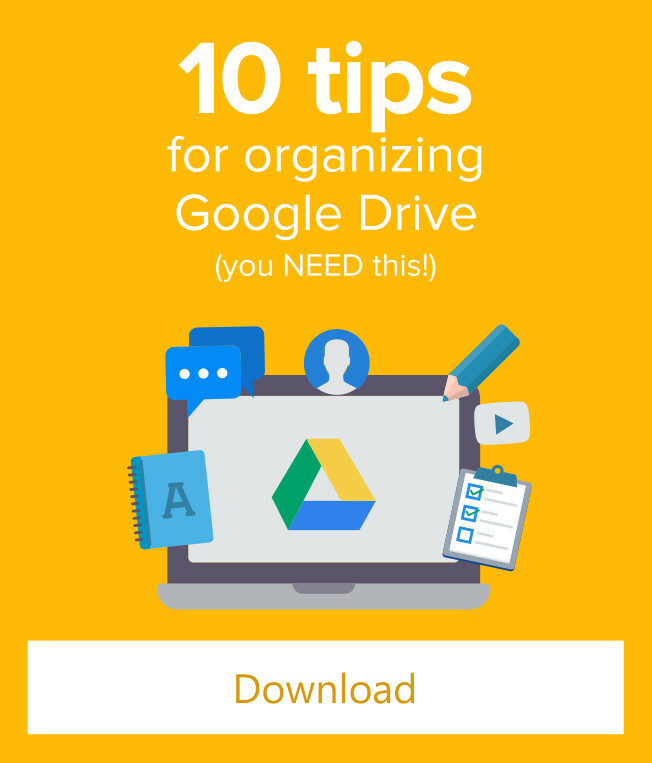 Now that you have 20 ways to screencast with Chromebooks it’s time to get started! Leave a comment and let me know how you have used screencasting in your classroom.